Some of the villagers have been very busy this weekend clearing out the ditches at the side of the village green. It has started to get very waterlogged and over grown. There have been a couple of large willow trees that have broken and fallen over in the past couple of years. The children have had a fantastic time climbing on them. 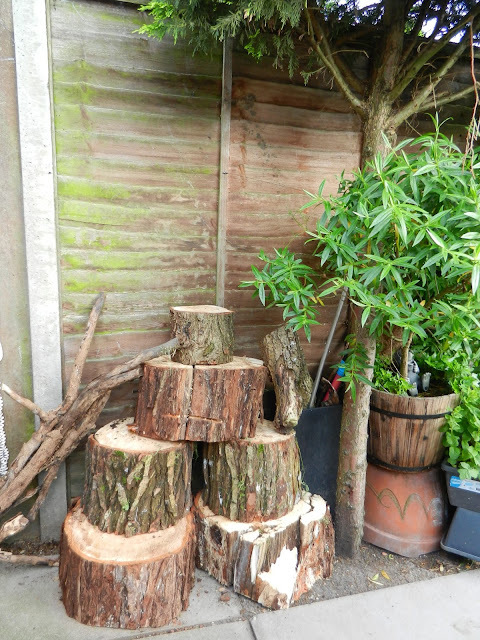 All this has now been chopped down and the wood sawn in to large sections. We were told we could take some of these if we had a use for them, so Brendan an I filled up the car and took some to the school and some home for us to use in some way. There are also a lot of branches heaped up at the edge of the green awaiting removal and I popped back to chop some of these and bring them home. 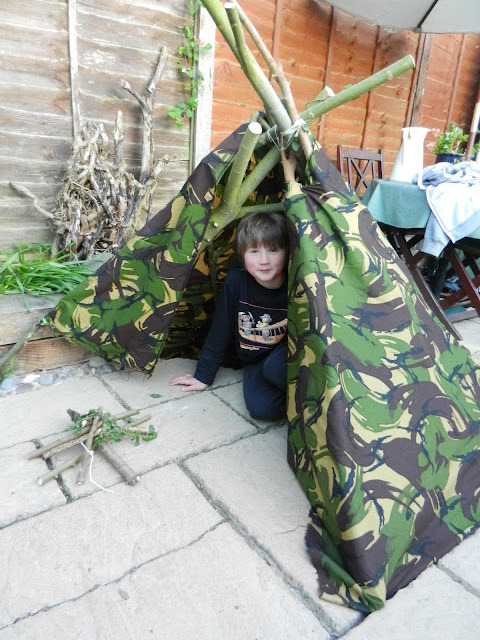 I thought it might be nice to make a little Teepee in the garden. 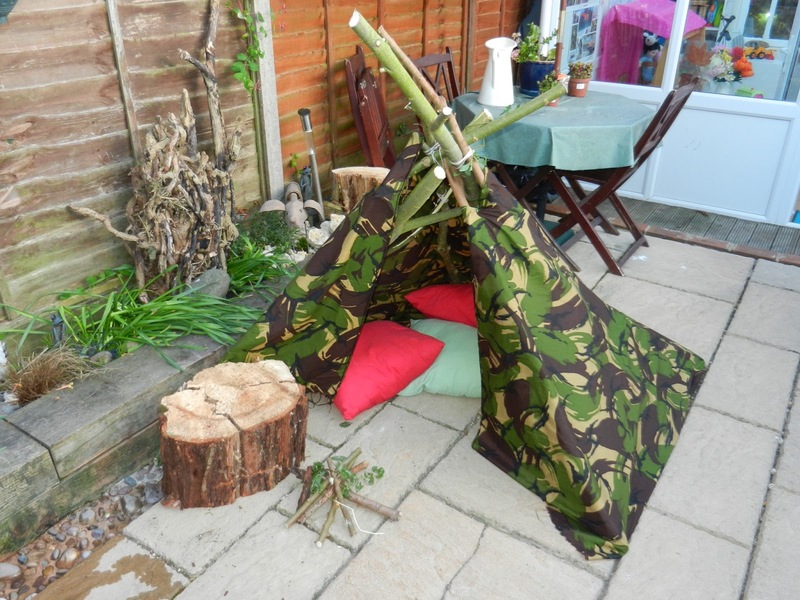 I strung some of the branches together and covered it with a piece of fabric that we have for den making. I sewed some of the fabric together with a needle and thread to hold it on to the branches. Kenzie tested it out and said he would like to sleep in it! I love these twisted branches that we brought back. These appear to be from very old and established ivy that was growing all over the trees! I love how it all interlocks and weaves in and out of itself. 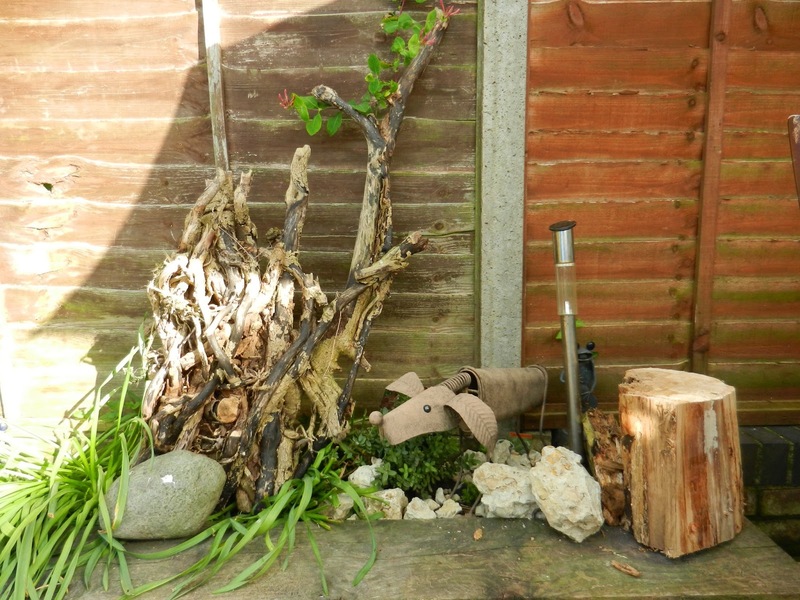 We thought it might look nice in the garden and might also be a cool place for bugs to live in. For now, we have stacked up the logs. We could use them as stepping stones or seats or a table……. I guess we could do anything with them!